We use a courier service to deliver across most of the UK to your chosen home or work address. We aim to deliver within 2 working days, provided the order is placed before 12 noon Monday to Friday (see details below). If you are likely to be out when we deliver, please provide instructions as to where you would like your order left. Orders placed by 12 noon (Monday to Friday) will be shipped the same day for delivery within 2 working days. Orders placed after 12 noon (Monday to Friday) will be shipped the next working day, arriving within 3 working days of the order being placed. Orders placed after 12 noon on Friday or at the weekend will be shipped on the following Monday and delivery will be received by the Wednesday. Should any items be out of stock upon ordering, we will notify you as soon as possible to arrange a substitute product or a reimbursement of funds for the out of stock item. We do not ship or deliver on Bank Holidays. For orders outside the UK there is an additional charge. In addition, for delivery to the following postcodes there is an additional delivery charge. 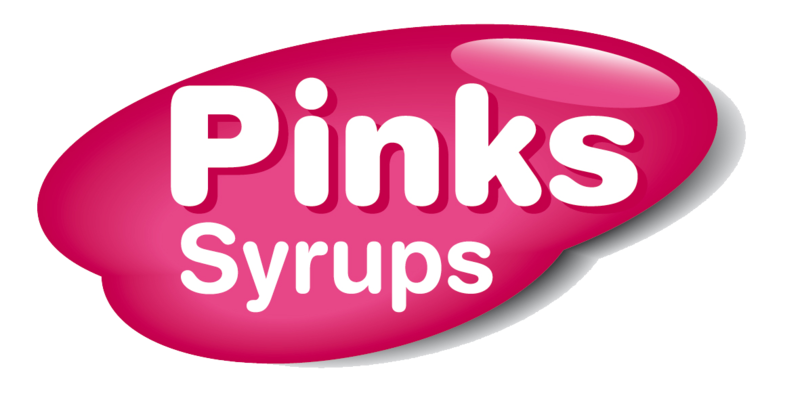 Please contact us on 01908 321516 or email pinkssyrups@pinkssyrups.com for details prior to placing your order. AB31 to AB38, AB40 to AB56, HI, IV, KA27 to KA28, KW1 to KW17, PA20 to PA38, PA41 to PA49, PA60 to PA78, PH4 to PH44, PH49 to PH50, ZE. For more details please see our Terms & Conditions. The goods sent and delivered to Pinks Syrups must be in the original packaging and be noted with the original order number.